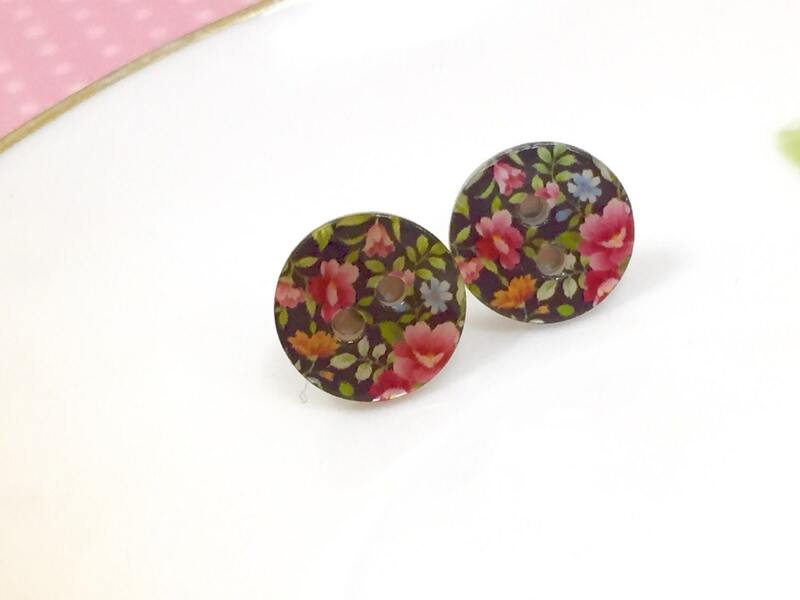 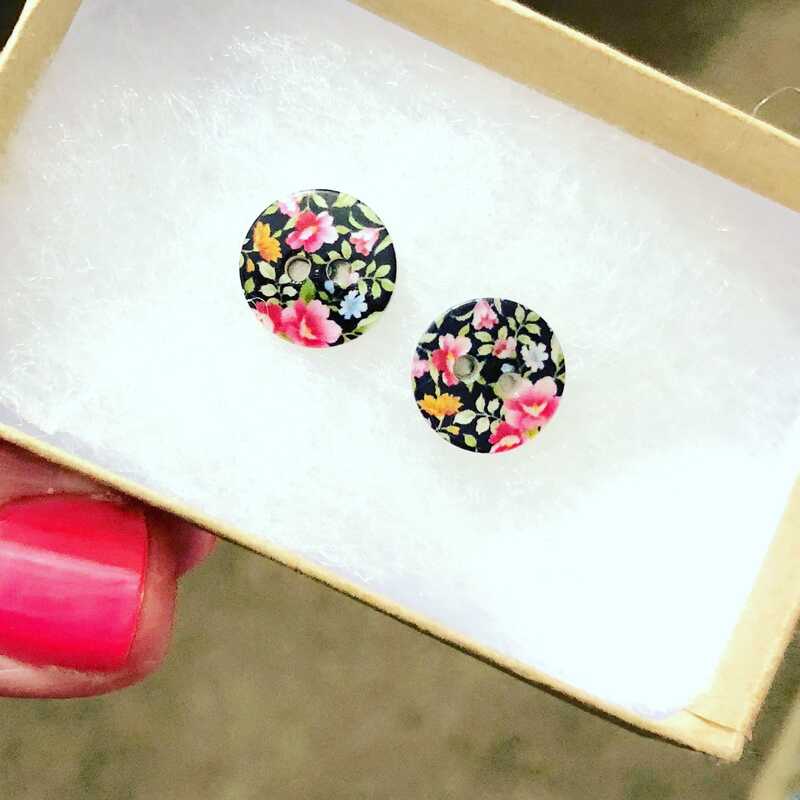 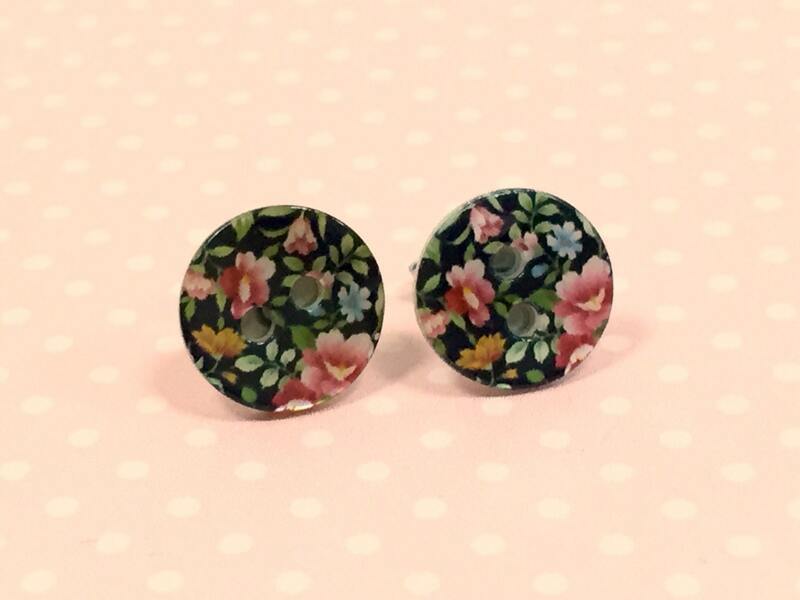 Mother of pearl buttons with a black background and a pretty bouquet of flowers on them were used to make these button studs. Button earrings make the perfect gift for your crafty pals, button lovers in general or simply for yourself :) These simple pretties are just the perfect addition to your jeans and t-shirt days! 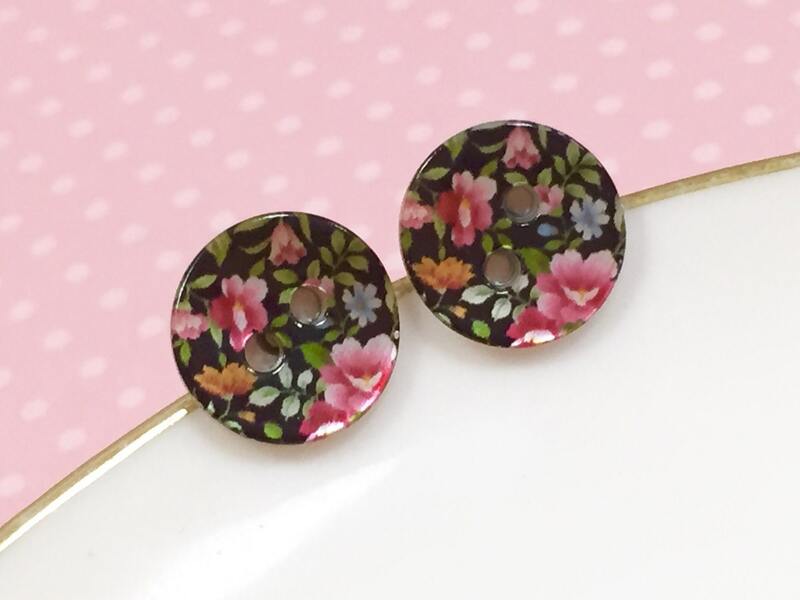 Small & sweet, these buttons measure about 3/8 inches (10 mm) in diameter & have been securely affixed to stainless surgical steel posts & with butterfly clutches.